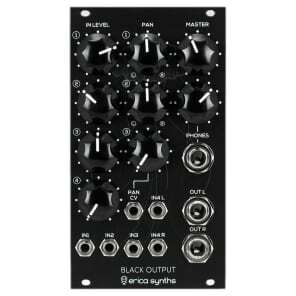 Erica Black Output Module is a high quality output mixer and stereo panner with balanced outputs and headphone amplifier for monitoring your modular masterpieces. 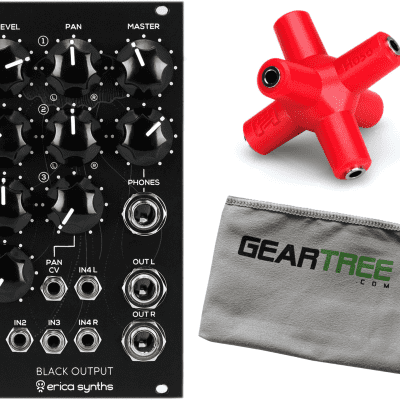 All inputs are buffered, we use stereo potentiometers (found in high quality studio mixers) for panning, IN3 has a CV controlled autopan function. 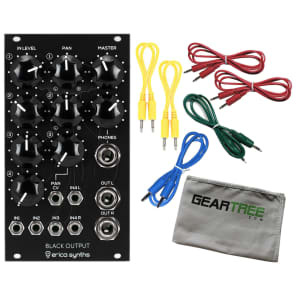 You will find 6.3mm jacks for balanced outputs and headphone out with dedicated preamp.